Professional background: Journalism, Marketing and PR Management for hospital systems, a global enterprise level EMR firm and global tech firms including Intel and HP. Personal: Two time cancer survivor. Breast cancer as a young adult, in full remission. Now living with a rare, chronic form of leukemia (CML) diagnosed three years ago. As I was thinking about my own experiences, and the way healthcare professionals treat patients, I realized that most seem to think we are still in the model that existed with my first cancer diagnosis – a time when patients did what they were told and didn’t have other resources for information or support. E-Patient Dave calls that the car wash approach – you go on the conveyor belt and get shoved through, with everything happening to you as you are passively moved along. It’s a good description. With the second cancer I have had access to information and resources, through the Internet, that enabled me to understand my cancer and treatment options, get the follow-up information needed to recover and move forward, avoid medical mistakes, feel less isolated even though what I had was very rare (many CML patients have never met another human being with CML) and, generally, all of these things supported the healing process and a return to more of a normal life. A cost analysis would likely also show this has a cost savings benefit for the healthcare system too. Immediate ability to research the diagnosis, treatment and prognosis online from reputable sources. Current info. Books go out of date within months. Ability to check out a computer in the hospital and do immediate follow up, real time, on the information provided, tests scheduled, etc. Used a Google Group for friends to organize food support, deliveries, meals, etc. Providers were focused mainly on clinical aspects. Most of the information needed to process the diagnosis and live with the disease/treatment came from other patients. This gap causes a distrust of the providers and makes the information from fellow patients seem more credible. Providers – and the marketing firms after their business – act like social media is new. Patients have been online since the bulletin board days, before social media even had a name. Some patient communities have existed for decades, have highly credible leadership, and offer real world information. ACOR. New communities spring up organically through Yahoo and Google Groups and orchestrated health website platforms. Able to attend virtual educational programs online with world class experts in my disease, with people from around the world. Because my leukemia is rare, and the treatment is new and cutting edge, it’s difficult to find a true expert. When I ran into issues I was able to reach world class experts, at no cost, through an online portal run by a nonprofit advocacy organization, to get expert advice on a medical opinion I got in Phoenix which seemed off track. The local specialist aggressively tried to push me into a transplant that I did not need. I was able to get accurate information to take back to my primary oncologist and discuss with him the course of treatment I wanted and why and back it up with clinical data. To make a long story short I achieved the best possible clinical outcome within the optimal timeframe to give me a normal lifespan, living a good life and in good health. I avoided having a transplant I did not need that had a good chance of killing me or leaving me very ill afterwards while bankrupting me. None of that would have been possible in the old days. Most examples of patient empowerment are not that dramatic, but the key thing is that empowerment is about taking responsibility for your own health and well-being, in partnership with the right medical experts. Have run into both pluses and minuses with electronic medical records, system still very fragmented. BUT have no records at all from first cancer. Encounter very sophisticated scammers with websites, social media platforms selling fraudulent cures, information, etc. Done so well that it would be easy to fool many consumers, especially people who are desperate. Mobile apps – Marketers keep pushing as the next big thing – Reality is that those most in need of support are being missed. Due to age/computer literacy/inability to afford a mobile device. Some cancer apps, for example, only come in mobile versions. Privacy – old days you could keep things private. Today it’s all searchable. Forces younger people into the closet, cuts off access to support resources. Beyond that, some sites claiming to be patient support sites are data mining sites. Needs oversight and protections. With Pat’s deep experience, she made 10 suggestions for providers who want to improve that I have excerpted below with some annotation in italics. Include patient input in the design and development process, and build in feedback mechanisms. Don’t assume providers know what’s best (i.e., the old model). Sit down and talk to patients. Often we are more knowledgeable about our needs than your employees. The video in Historic Day in Open Notes put together by physicians describes the contrast between the old and new model. Do usability testing and such that reflects the real world of the patient user – ie: When you are seriously ill your mind works differently and tasks that were simple while healthy become much more difficult. Recognize that it takes a unique skill set for someone to communicate the health jargon and technology jargon in a manner that the patient can easily absorb and understand. The end user’s ability to use and understand the tools is what’s paramount. As I said in an earlier piece, Doctors are a Broken Record We Don’t Understand > 80% of the Time and so some providers are borrowing an approach from the Khan Academy. Figure out how to make things simpler easier, ie: getting all the medical records and testing data in one, secure place. Do not make everything mobile. People are still on desktops. Patients can face visual, dexterity and other problems. Mobile devices may be cost-prohibitive. Be transparent. IE: Hospital chain cancer support site buried their name in the Terms of Service. Fool us, and we will out you. Recognize that old tricks – like best doctor’s lists – no longer work. Patient word of mouth, which is now online formally and informally, can make or break referrals. Physicians who do videos saying XYZ hospital is the best no longer work. Physicians who demonstrate expertise in their area may result in a patient travelling a long distance to get that expertise. Business is no longer just a local market decision when it comes to serious medical conditions. Provider messaging in social media is advertising driven in most cases, and is not helpful. Invest in people with the right skills and level of maturity for your communications programs. Too many health sites and social media platforms are handled by healthy young people who lack sensitivity to the patient population or how to discuss a serious medical condition. Walmart has made the biggest move yet in fostering domestic medical tourism. Now every cardiac or spinal specialist is competing with Mayo, Cleveland Clinic and others. This will be extended to other conditions. In the ascending “no outcome, no income” era, providers need to also recognize that Patient Engagement is the Blockbuster Drug of the Century. They also are recognizing that there’s a strong business case for patient engagement. Recognize patients today go to Dr. Google first for information, and it’s the “wild, wild, west” out there. New HIT tools and systems have been under development for years but there has not been a coordinated focus on the consumer side. Wikipedia is often the #1 choice of patients for information. The reality is that the #1 “patient portal” is WebMD with over 100M consumers regularly visiting their site, not the the administratively-focused, silo’ed patient portals that have been a “marketing checkbox item” for EMRs. Sophisticated patient relationship management (PRM), as outlined in the aforementionedbusiness case article, is where patient portal technologies are going. PRM systems recognize that the most important “medical instrument” is communication. There’s no need to reinvent the wheel (a common healthcare provider ill) — they can and should curate the most useful tools they can direct patients to whether it’s ACOR or a disease-specific community if they have tools or information that will be useful. That curation process is immensely helpful for patients as they are flooded with information. Providers can help separate the wheat from the chaff. Providers looking to better understand how to weave patients into the process have many resources. 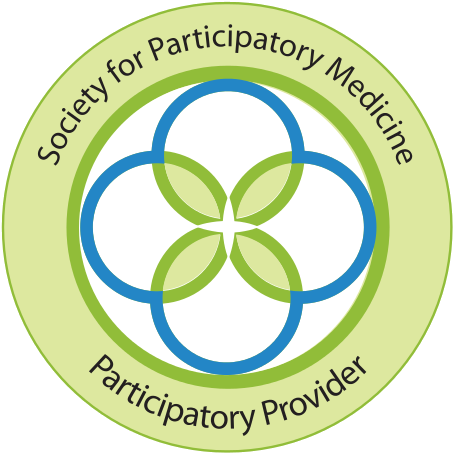 One of the organizations worth joining is the Society for Participatory Medicine. Dave Chase is the CEO of Patient Relationship Management company, Avado, is the 1st cloud-based EHR-agnostic patient portal built for healthcare providers in accountable models such as medical/health homes, accountable organizations, etc. Avado was selected by 22 pioneering healthcare providers in NY state for a statewide program pioneering accountable models. This post originally appeared on Forbes.com. Posted with permission of the author.